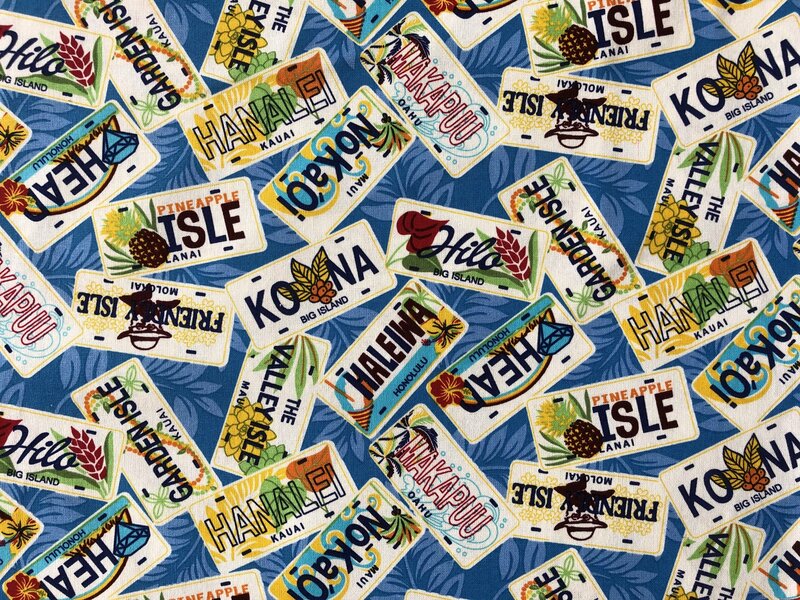 Hawaiian License plates on blue canvas Hawaiian print. 44in. wide . 100% cotton canvas.